A payment can only be backdated when it is first entered. 1. When entering a new Payment, hold down the Control Key while clicking the Submit Payment button. 2. 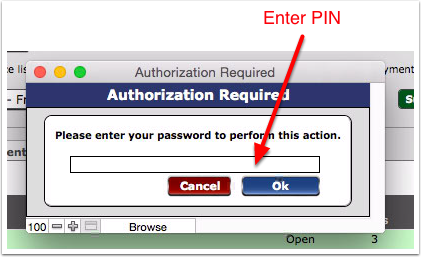 Enter your user PIN in the authorization box, then click OK.
3. 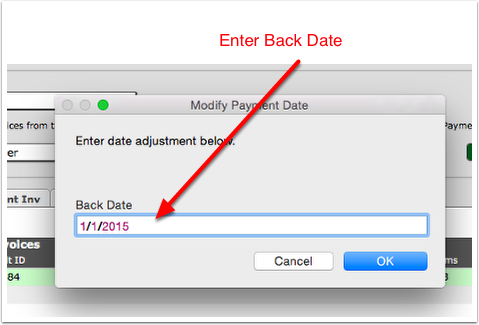 Enter the desired back date. (It must be within the allowable range of the system Setting.) Click OK.